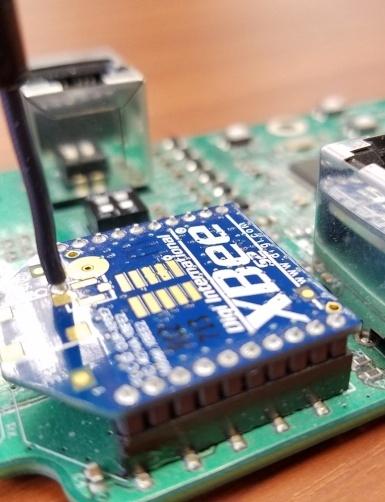 Digi, through its XBee line of wireless devices, provides many kinds of self-contained RF modules. Of particular note are their modules implementing the 802.15.4 standard, for 'low-rate wireless personal area networks'. It emphasizes low-cost and low-power, making it an ideal basis for mesh networks, comprised of many individual 'nodes' – each node needing only to communicate with a few nearby peers.